Our Summary: Best water flow on the market! 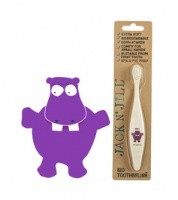 Perfect non plastic option for out and about for your little ones aged 4+ and beyond. Soft silicone spout is gentle on new teeth. 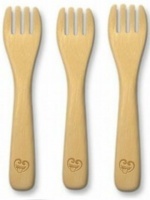 Easy to clean, no worries about BPA. 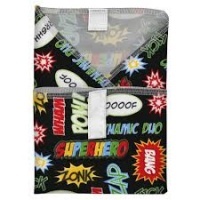 Wider than normal opening for easy cleaning & dropping in ice cubes etc and lightweight so easy to bring anywhere, anytime and builds a lifelong love of reusables. 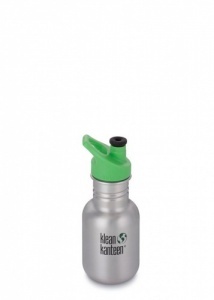 The new collection of Klean Kanteen stainless steel classic sports cap kids bottles are designed with kids in mind. Bright cap colors and graphics keep hydration fun. The chip-resistant Klean Coat™ finish is four times more durable and safe for people and the planet. 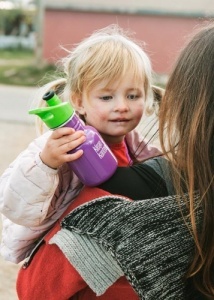 Providing a lifetime of use, and building a lifelong love of reusables - we hope your kids will truly connect with their bottle and learn to question single use culture. Klean Kanteen were the first brand of stainless steel water bottle ever produced, and today, they're still the best quality water bottle in the market. 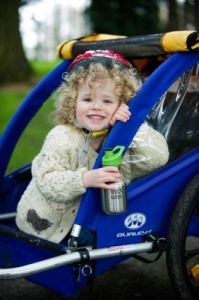 Kid Kanteen stainless steel kids water bottles and baby bottles are made with safe, BPA-free materials and designed specifically for kids. 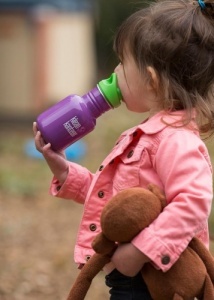 The perfect size for little ones hands and made with safe, healthy and durable materials created as a safe, non toxic alternative to plastic water bottles. 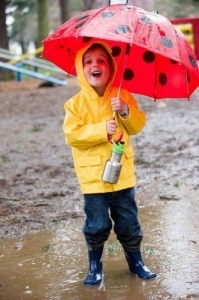 Head off on your day's adventure with safe hydration for your little people all day long. The inside of all Klean Kanteen stainless steel water bottles are electropolished so they don't retain or impart flavour like cheaper stainless steel bottles do. The corners of the bottles are rounded, and a lot more rounded than other designs, which means you're less likely to damage it if you happen to drop it. The leak resistant 'whistle free' Sport Cap 3.0 helps keep drinks from spilling or leaking, and comes with a soft silicone spout which makes it safe for new teeth. It also has a loop on the cap so it can be easily attached to a stroller bag, lunch box or backpack. 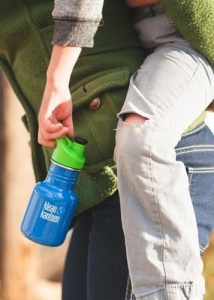 Compatible with all Klean Kanteen Classic Caps for easy transition as kids grow up, providing a lifetime of use, as long as they don't get lost! It features a 4.4cm wide opening which makes for easier cleaning with a bottle brush and plenty of room to drop down ice cubes and fruit. The Klean Kanteen Sports Cap 3.0 has a soft silicone spout and a silicone valve, this gives in quieter performance and a higher flow rate. Please note that leaking can occur if it's left upside down or on its side. Dishwasher safe cap and we also recommend giving them a good rinse with diluted vinegar which will prevent any bacterial or mould growth. The caps do need replacing periodically, especially if the silicone spout is being repeatedly pulled open by teeth. For a completely leak-proof bottle opt for the stainless steel loop cap or the poly loop cap. For a bottle with a 100% stainless steel interior opt for the stainless steel loop cap. Child Safety Warning: Sport Cap 3.0 not intended for children 3 and under and recommended for age 4+. Not intended for chewing or teething. Always use this product with adult supervision. Always ensure the silicone valves are properly installed. Adult assembly required. Bought this for my 3 year old and it’s the perfect size. She picked the colour she wanted, delivery was really quick. We had used a commonly available plastic twist cap bottle before but she managed to smash that - no chance of her smashing this one. It’s been a big hit. Can’t believe I didn’t convert earlier. Perfect size for my little guy and does exactly what I wanted. Easy to clean too. Quick delivery and great service.